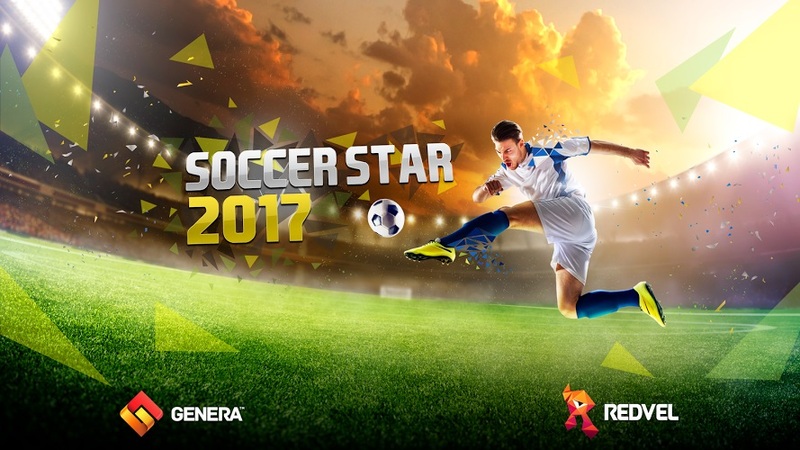 Soccer Star 2018 World Legend - Become the ultimate soccer player in the world. Lead your football team to victory scoring goals in the best soccer leagues. Manage your football career, improve your skills as a football player and goalkeepers will fear you. You will find many football legends in your soccer career to be the real score hero, find a dream team and win the World Cup! Have fun with this football manager game, administer your own professional soccer career and become a football legend. Get scouted as a striker, midfielder or defender and become a football world-wide star in this soccer experience. Hire your agent, manage your finances in our football game for the real soccer gamers. Select your physical trainer and optimize your physical condition like the ultimate football player and control the soccer ball! Mark the difference in your football team with your goals and gain the highest score in each soccer stadium. Overcome every challenge and earn the experience to level up to be the ultimate score hero of your real soccer club. Be your own soccer manager and become a real footballer in the new simulation sport game! Make free kicks, reach fame and your fans will follow you in this real soccer game match by match. Become a star of football world-wide, manage your relations with the supporters, and the contact with your dream team, coach and sponsors in a football manager game. Make the ultimate football team and play in the FIFA soccer championships. Lead your soccer team to the worldwide football, be a soccer legend! Earn the UEFA Euro or the FIFA World Cup with every goal and the ultimate soccer tactics, the stadiums will roar with your football moves. Begin the 2017/2018 season with your favorite soccer national team and win trophies of each league or competition. How many seasons do you need to win your first league in this sports game and become a football hero? ★ Select the type of soccer player you want to be: forward, midfielder or defender, and conquer the world’s most popular sport with your football club and your goals. Be a real soccer legend! ★ Play with your favorite national team: Brazil, Spain, France, Russia, England, Italy, Portugal, Germany… Become the soccer hero of your country! ★ Choose your dream team and rank up while playing various seasons, National and International leagues, European and World cups … Take a FIFA tournament and reach the ultimate top! ★ Compete in different championships, leagues and categories with your ultimate football player and your soccer team in the normal mode! Use the soccer tactics to get the victory! ★ Increase your profits after every match and play training modes like free kick or tecnique. Level up your soccer player skills to be the new star of the sports games and score many goals. ★ Synchronize with your Facebook and Google Play accounts and beat your friends in the new multiplayer mode! Enter in the global soccer community and be a soccer hero! ★ Realistic soccer manager in 3D, with FIFA football players celebrations! ★ Free and easy interface to play football game: flick to shoot, flick to assist, flick to free kick. Just one finger all soccer moves and tactics are possible! New controls to play the best soccer game in your mobile! ★ Stunning 3D graphics, feel the soccer experience like if you were in a football stadium in this sports game. ★ Play in the FIFA and UEFA competitions around the world and win titles with your ultimate dream team as a soccer legends score decisive goals. Soccer Star 2017 World Legend: - install APK and play the game.